The book explicitly places the principles and processes of design within the context of a business or enterprise, explaining how design management can relate to the cultural, environmental, political and social impact of an enterprise. 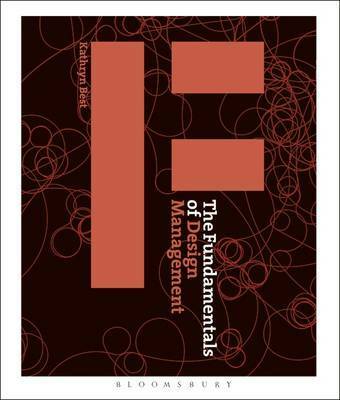 It emphasises the inter-disciplinary nature of design management, and as such is of relevance to students of a number of disciplines: from art and design to business, marketing or media. The text is supported throughout by a range of interviews and case studies, taken from design practitioners and industry experts. Kathryn Best is a designer, consultant, educator and author. She runs courses in design, strategy and innovation for academia and industry, specialising in interdisciplinary and collaborative working methods. Kathryn previously worked in architecture, interiors and brand consultancy, both in the US and UK, where she specialised in retail design and narrative environments. Kathryn's current research interest is in the potential of design and design thinking as a tool for innovation and change in the context of business, society, culture and the environment.